Are you going to start a daily newspaper? A weekly one? These questions are absolutely needless, and nobody’s interested in that! 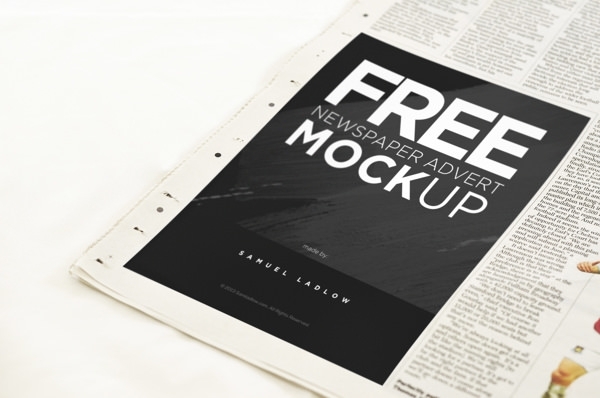 Just start the car of your imagination and ride the advertisement mockup trend! It’s a very latest trend which incorporates mainly newspaper styles. Sometimes it may fall under the retro category because of its bent for old, yellowish and gothic-styled print structure. 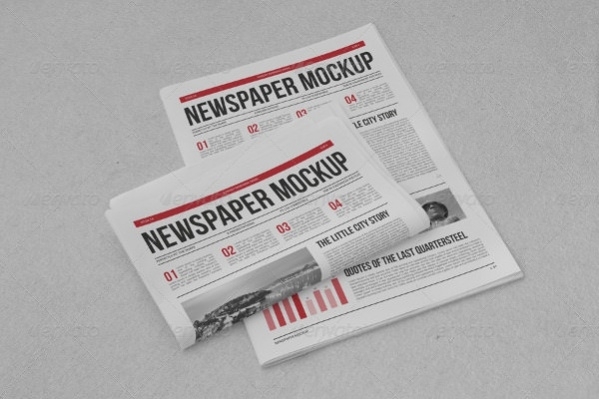 These free downloadable PSDs are often meant for spoofs of actual news. 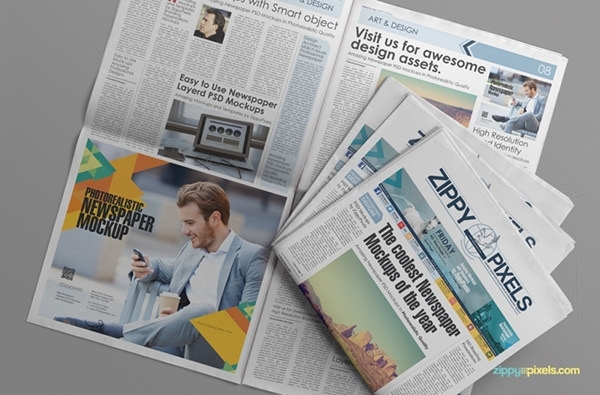 The headlines of the newspaper can drag anyone’s attention, so using the photorealistic newspaper mockup to promote any start-up business can do wonders for it. 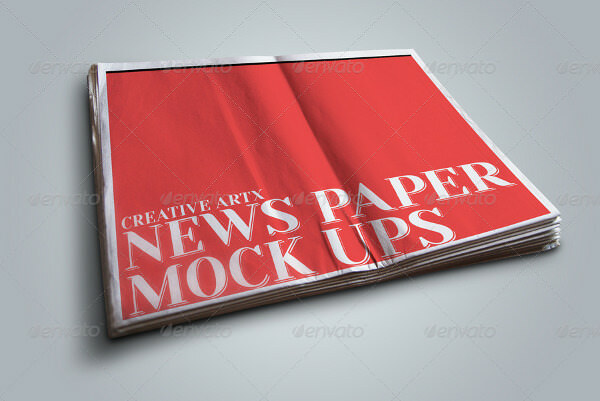 The elegant PSD mockup comes with the display of folded newspaper and you can replace the headline with your company name. Hurry Up! 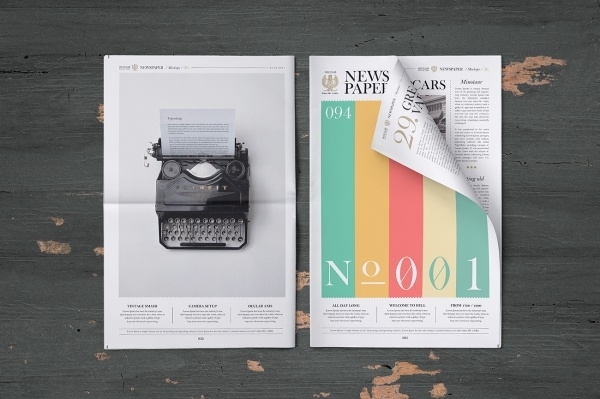 And download this intriguing newspaper Mockups! 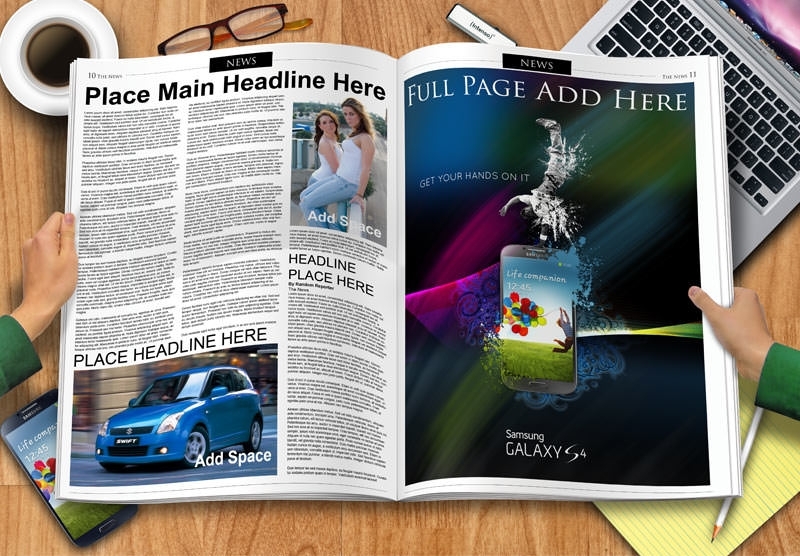 Adopt modernize way to promote your products or services and the new newspaper ad mockups help you with the same. 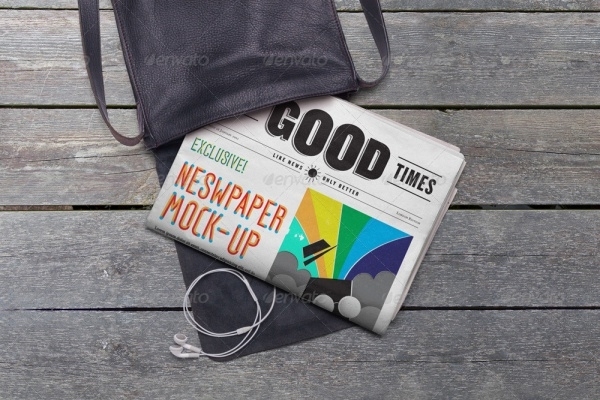 This PSD mockup displays a section to insert your design along with the newspaper surrounding. With the photorealistic appearance of these mockups, you’ll definitely leave the audience amazed- download it for free now! 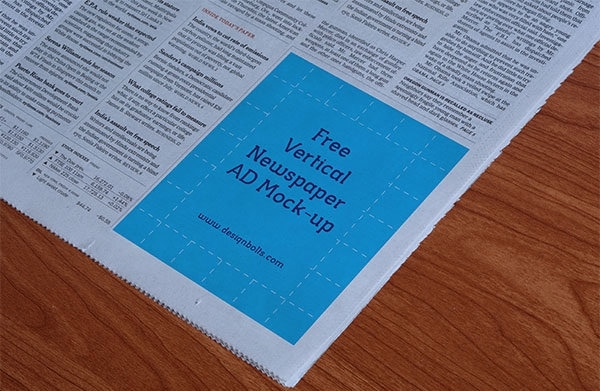 Stop using the old concept of newspaper advertisement and start using the modernized method of advertising with newspaper mockup on websites, social media, etc. 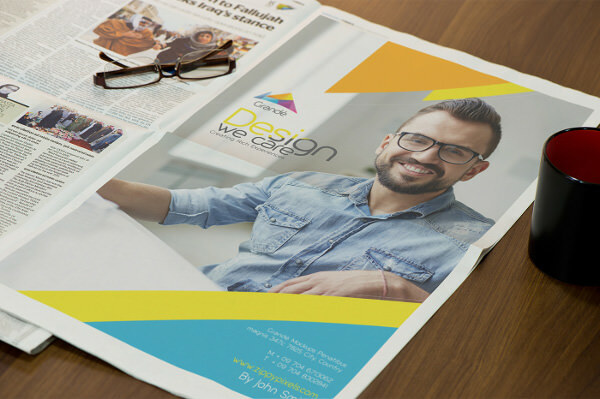 This PSD mockup showcases horizontal ad section to insert promotional content. 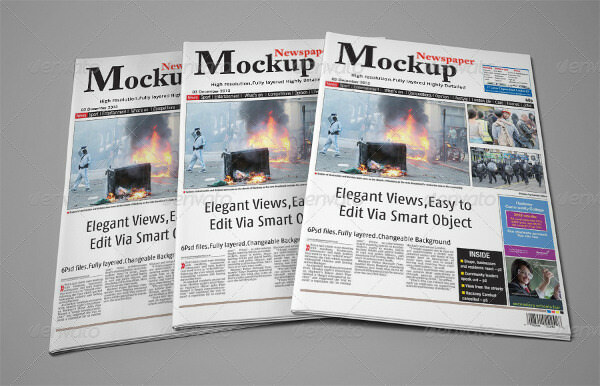 Available for free download, this photorealistic newspaper mockup will be really helpful designs based on publishing house, printing press, etc. Remember the animated spooky newspaper ‘Daily Prophet’ from the Harry Potter series? You can also make some customized dynamic ones (unfortunately the animated thing is not quite achievable easily) for your online portals. Present news in such a package that even gossips become a wholesome staple food for your subscribers. The best part about these mockups is about their alterability. Multiple editable PSD vector layers can make the whole thing way more exciting! 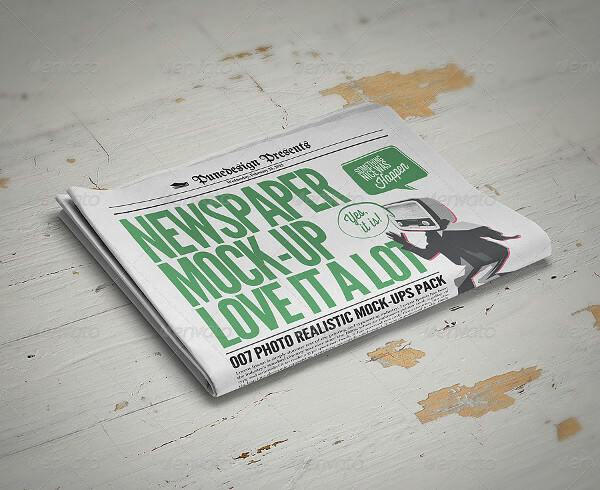 Use the photorealistic newspaper ad mockup to show your promotional designs or layouts in a brilliant way. 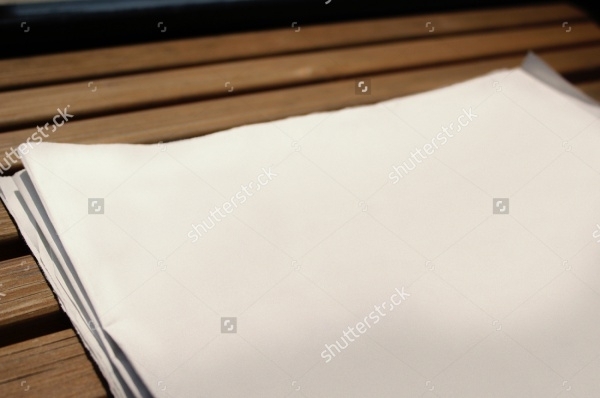 In this PSD mockup, there is the stack of newspapers with one newspaper open beneath them and you can place your design in the article columns. 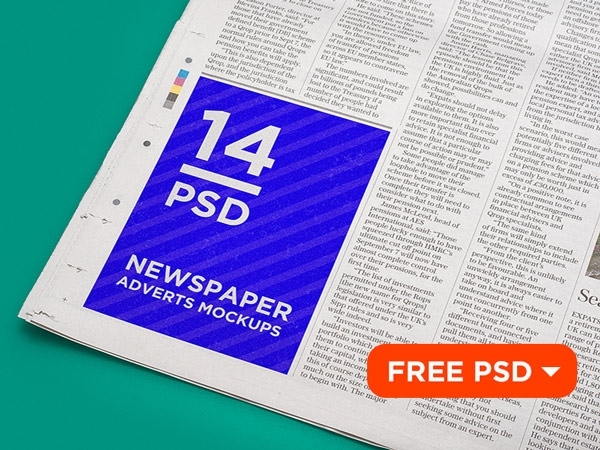 Feel free to download this impressive mockup for your future projects that too for free! Newspaper brings forth an aura of seriousness about anything, till date. So design the front page of your organizational brochure in a newspaper fashion. Catch the attention of the readers at once. Once you get them caught, it’s your responsibility to keep them engaged. Your contents are to do that. But the primary task can be accomplished simply by giving it a newspaper attire! There are very few characters who can afford to avoid a hot issue, no matter how stale it is. 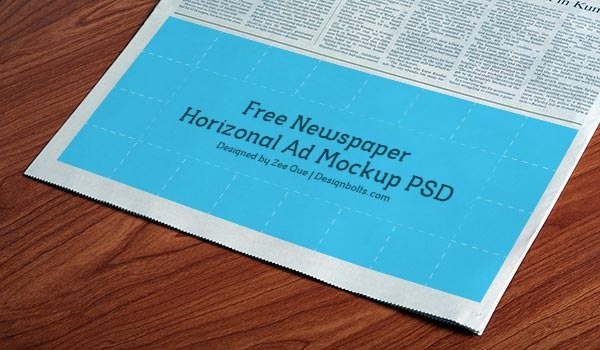 Use the advertisement newspaper mockup to present your idea of design or artwork in an unusual way. 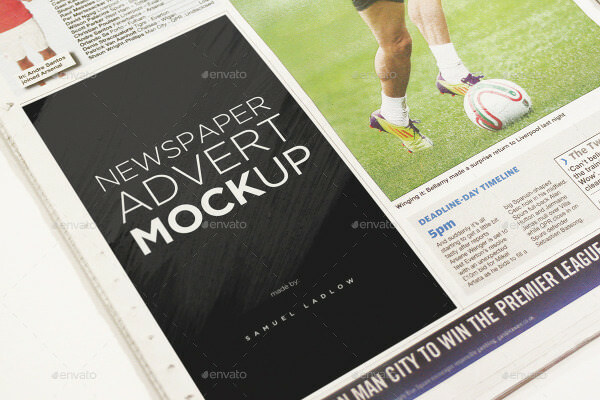 The photorealistic outlook of these free mockups features the white and black shade of newspaper with a section to add your work. 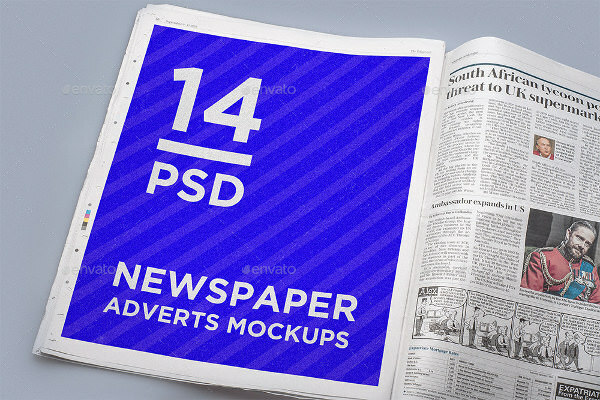 Using these PSD, mockups give the viewers the feel of reading the newspaper while going through your design.